Nestor M. Davidson is the Albert A. Walsh Chair Professor of Real Estate, Land Use and Property Law at Fordham Law School and the Faculty Director of the Urban Law Center. 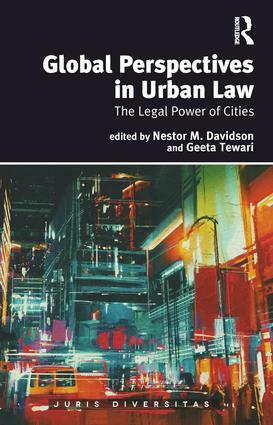 Professor Davidson has published widely in the fields of property theory, urban law, and affordable housing law and policy. He earned his AB from Harvard College and his JD from Columbia Law School. Professor Davidson previously practiced with the firm of Latham & Watkins and served as Special Counsel and Principal Deputy General Counsel at the U.S. Department of Housing and Urban Development. Geeta Tewari serves as Associate Director of the Urban Law Center at Fordham Law School. She earned her BA in Government from Cornell University and her JD from Fordham Law School. She has practiced public interest law for the New York City Law Department and the Washington D.C. Office of the Attorney General. Tewari also holds a Master of Fine Arts in Fiction Writing from Columbia University, where she taught creative and expository writing to New York City high school students and the Columbia undergraduate and alumni community. Information about her writing is available at www.geetatewari.com.